Texwipe offers a range of Cleanroom Tapes, constructed from the highest quality materials available. Available in a range of sizes, colors and materials, we have a solution to your specific application. Advanced Materials. 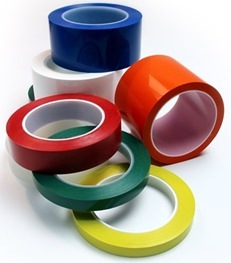 Our Cleanroom Tapes are available in a variety of colors, sizes and materials for almost every use imagineable.